Finally, the most awaited weekend has arrived and I packed my bag again and head towards Lansdowne- this time to beat the Delhi summer for a weekend trip. 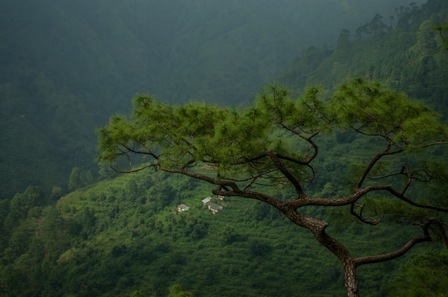 Lansdowne is known for its tranquility which I experienced true!! 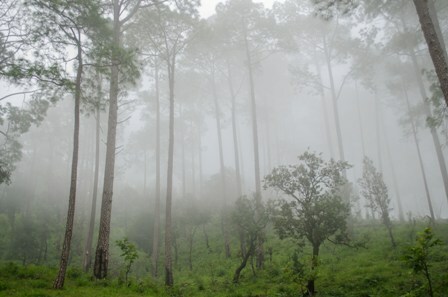 The place is so calm, serene and green that I found myself lost in nature and falling my love to mountains once again!! Delhi – Meerut – Bijnor- Najibabad – Kotdwar – Lansdowne. We started the journey on Friday evening at 5PM, I captured the window seat with my little daughter who is a nonstop chatter and keeps on asking me where we are going.. 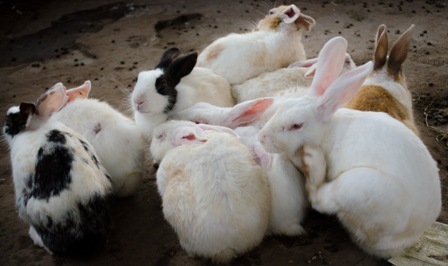 I have to make some false naughty promises to her of buying rabbits, sheep and puppy…Pheeww!! As it was peak eve office hours we got struck in Delhi’s traffic but gradually saying good bye and going away from hustle and bustle of noisy Delhi at least for a little while… It started getting dark when we crossed Meerut, we passed through the dense forest on both sides and could hardly saw any vehicle on the road. The scene reminds me of some scary Hindi movie but the roads are good throughout the journey except few pat holes and bumpy stretches. It was already midnight when we reached Kotdwar, and decided for a halt in some decent and cheap hotel for overnight so that we don’t miss the scenic journey from Kotdwar to Lansdowne which was still 48 KM away. 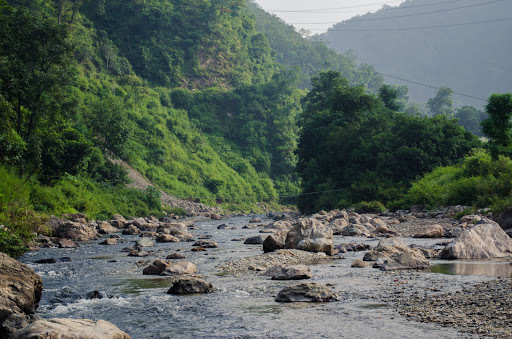 At 7 in the morning, we loaded in the car and head towards our destination… on the way we took a tea – Parle G break and found a river stream behind some houses along roadside. All pics courtesy: Lokesh,a heartfelt thank you for these beautiful captures. 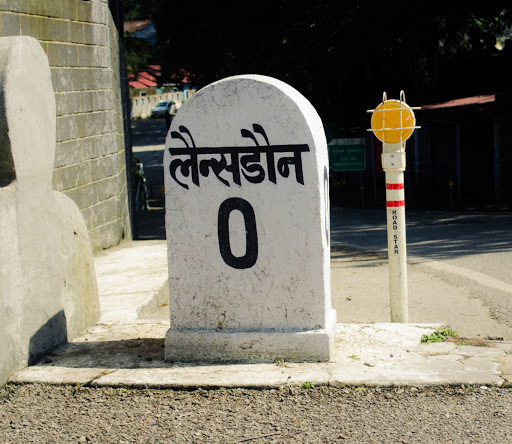 We straight head to Garhwali Mess, which is an awesomely maintained cantonment area of Garhwali Regiment and have many old buildings of British colonial Architecture and military history. We have our room booked in MESS so we quickly freshen up and stuffed ourselves with delicious Indian breakfast of yummy Aloo Paranths before starting our sightseeing. Tadkeshwar Temple – Situated 39 Kms from Lansdowne, is a small temple surrounded with tall pine and oak trees all around. 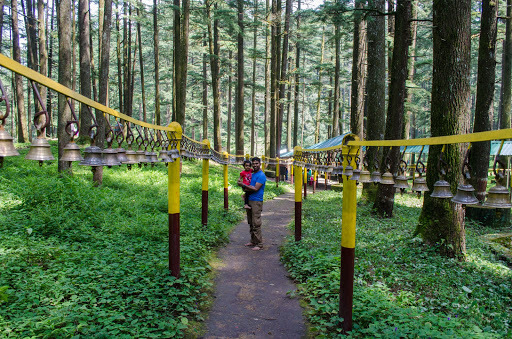 Once you reach the spot you have to walk through the pine forests for a good 10-15 mins to reach the temple. It will certainly take your breath away in every sense and awaken your spiritual side. Tip N Top (Tiffin Top) Point – Offers excellent views of surrounding Shivalik Hills. The breeze was chilling by the time we reach this point. Mountains were looking divinely beautiful and milky white. Bhulla Lake- The artificial lake created and maintained by the Army is a perfect spot to sit and spend some time with a book or your loved ones. Neatly tailored flower gardens add to its scenic beauty. There are swings and open spaces to relax and enjoy the view.you can find ducks,rabbits and beautiful birds playing around. 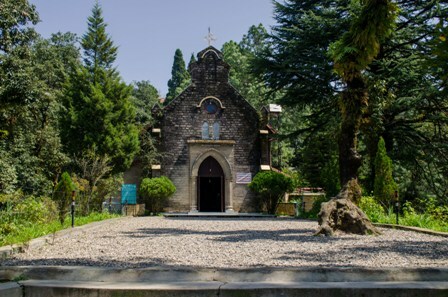 St. Marry Church – Situated amidst the thick oaks and pine trees are the St John and St Mary churches where you are taken to the British era with their serene and untouched beauty. Inside, the monochrome wedding pictures held in the church from that era gives you a certain hit of nostalgia. A 20 minutes movie is shown to narrate awestruck history and glory of Garhwal regiment. WAR Memorial Museum – The Garhwal Rifles regimental Darwan Singh museum and their parade ground radiate the hard-earned glory of this famous regiment. The history of the illustrious regiment, the never ending honor-rolls and medals earned by the soldiers and their valiant stories were over-whelming. 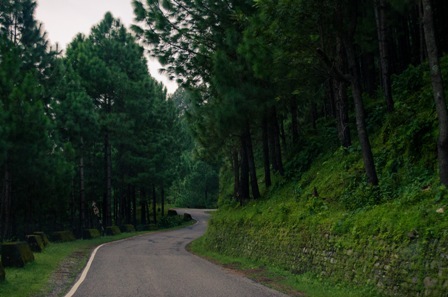 It is a cantonment town in Pauri Garhwal district in the Indian state of Uttarakhand. 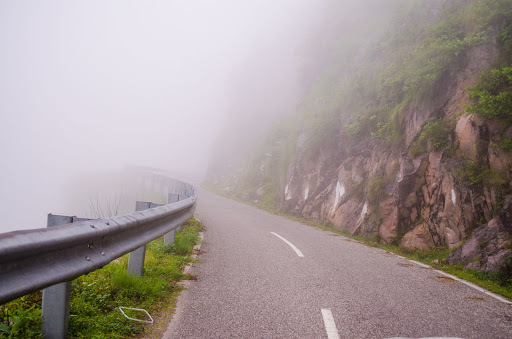 It is situated at an altitude of 1700 mts above sea level. 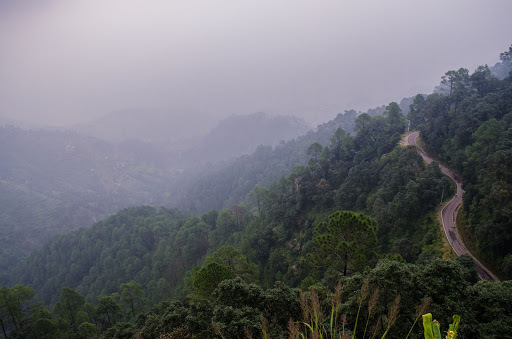 Originally known as Kaludanda after Kalu (Black) and Danda (Hill) in Garhwali, Lansdowne was founded and named after then Viceroy of India (1888-1894), Lord Lansdowne in 1887, Lansdowne was developed by the British for catering for the Recruits Training center of the Garhwal Rifles. 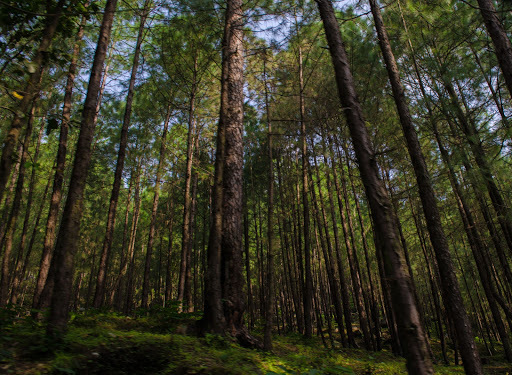 The sun was peeping through the Pine, Deodar and Baanj trees surrounding the whole town. The hide and seek of mist and sunrays was truly amazing. Serenity and cleanliness were at their best. You can find benches on roadside every here and there to take rest and capture the beauty of mountains with your eyes and Camera. Other than the main market, there was no signal of noise, only peace… We found ourselves were lost in nature. Hill people are known for being honest, hard-working and friendly. They work hard and smile easily. Refreshing! 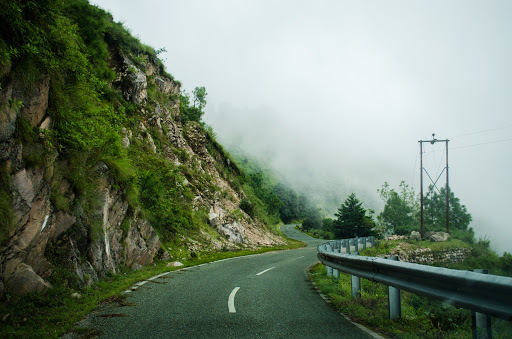 That is how I would like to describe our Lansdowne trip… A perfect place to just lazes around, soak up the ambiance and feel invigorated to face your everyday challenges again. It is the perfect place to meditate and rejuvenate one’s soul. Previous Previous post: Dwarka Dham – Gurjrat Bhraman !! Yes Ekta,believe me it's worth going!! Great article…..seems really a wonderful place !!! !